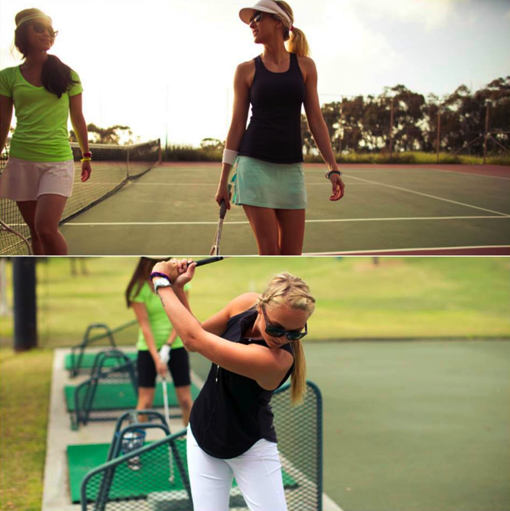 I’m not sure what the bermuda shorts on the bottom picture are called, or the sleeveless polo, but the skirt and dress that I posted about yesterday are called the Hot Hitter Skirt and Hot Hitter Dress. "Spotted! Sandra Bullock in Lululemon"
"Lululemon Golf Line: Hot Hitter Sleeveless Polo and Club Shorts"